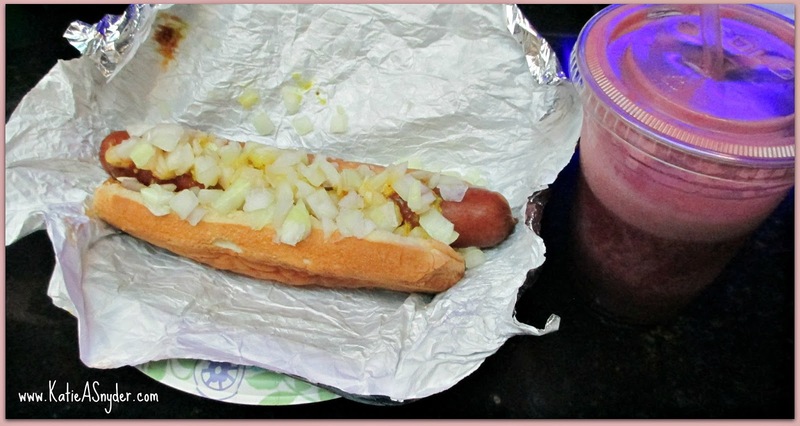 Today my day started out with a very early morning run to Costco, by the time we got out of there (there is really no good time to go to Costco), I was starving so I grabbed a hotdog and a Berry Smoothie from the Costco Food Court. I added relish, deli mustard, ketchup, and fresh onions, it was absolutely divine and completely worth the calorie count lol. 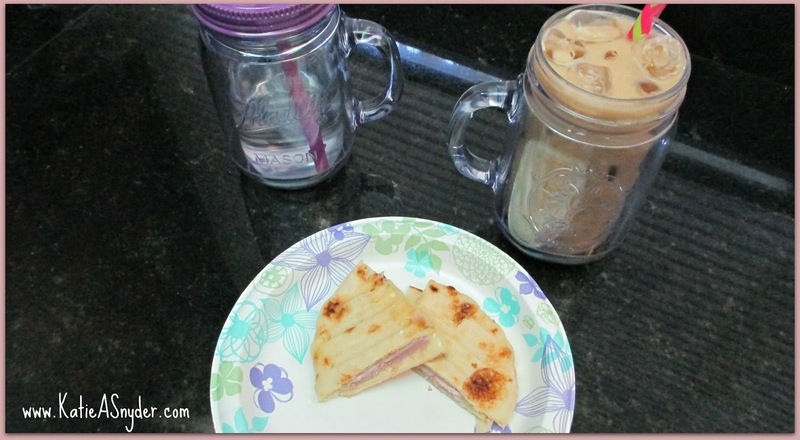 For lunch I had a Naan bread sandwich with extra sharp white cheddar and ham, a 20 ounce cup of water, and an iced coffee, that was very much needed after that early morning Costco run. 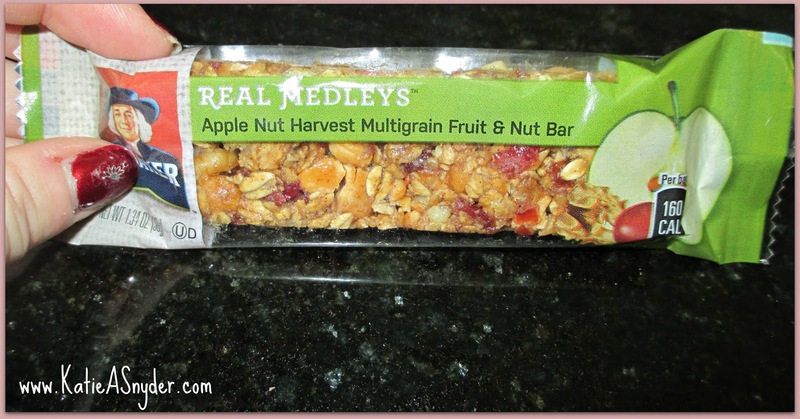 Because my sandwich was so small I needed something to hold me over until dinner so I had a Quaker Real Medleys Apple Nut Harvest Multigrain Fruit & Nut Bar. These are one of my favorite snacks they taste so good, they are really filling, and they are only 160 calories! 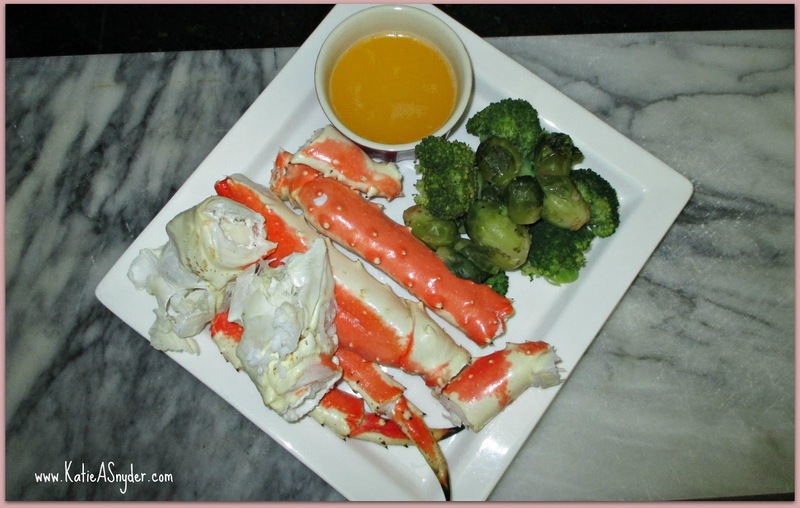 While I was at Costco today I saw they had Alaskan King Crab Legs, I immediately grab some as we almost never get these here because of the distance between Hawaii and Alaska. I just steamed the crab legs and then melted a bit of Vegan Earth Balance, and served it with steamed broccoli and brussel sprouts. 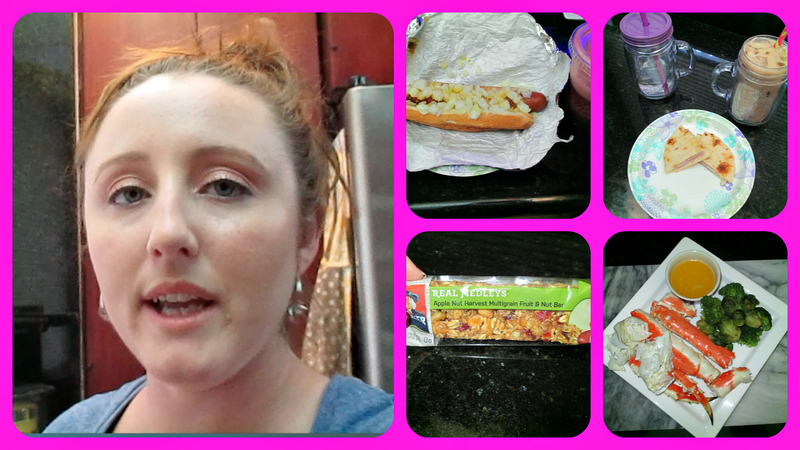 Here is my video of My Meals Monday….